Slip into your favorite Crocs Classic clog and enjoy a custom fit, water-friendly design and ventilated forefoot for breathability. 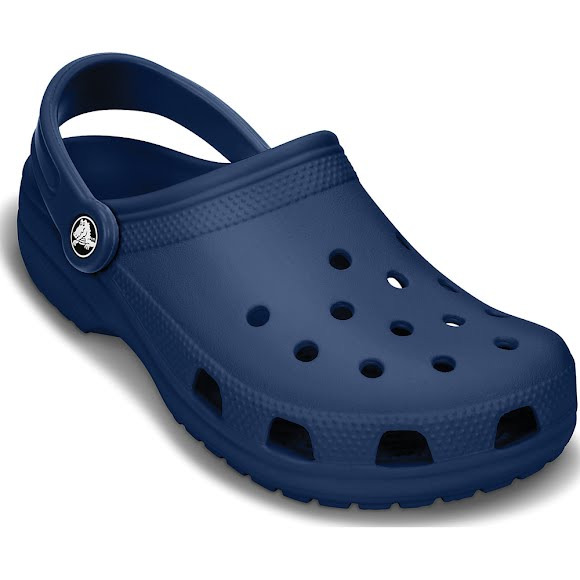 All Crocs shoes feature Croslite material, Croc&apos;s revolutionary proprietary closed-cell resin, which represents a substantial innovation in footwear. The Croslite material enables Crocs to produce comfortable, lightweight, ergonomic, anti microbial, odor resistant and recyclable shoes. these unique elements make crocs footwear ideal for casual wear, as well as for professional and recreational uses. Shock absorbing soles relieve pressure from feet, lower legs, knees, hips and lower back, reducing fatigue over time. Egonomically certified by United States Ergonomics and proven to reduce muscle fatigue up to 62.6% more than standing barefoot. Croslite makes shoes amazingly lightweight. Recycleable: Crocs brand shoes are recycled exclusively through the SolesUnited program.